Can You Find a Green Home Business? Many stay at home moms want to do more than “just” care for their families. They want to help support it financially as well as emotionally and physically. It’s pretty necessary in a lot of cases. We’re lucky. There are a lot of options out there. Working at home itself is pretty green in a lot of ways. You aren’t commuting. You will probably use equipment you already own. You probably won’t eat out very often. But it’s really nice if you can have a home business that is of itself a green selection. There are a few out there. Shaklee is one that comes to mind for me. They offer personal care and nutrition products, and don’t allow animal testing. Watkins is another company that offers natural products. They have personal care, cleaning and cooking supplies. And of course there are many other direct sales opportunities out there. Not all are green, but there’s a good number out there. Of course, direct sales is not for everyone. But you have a lot of other options. I enjoy blogging and affiliate marketing, of course. Finding green products with affiliate programs can be a challenge, but it’s worthwhile. It’s a slow build much of the time, not the instant riches so many people promise for home business. 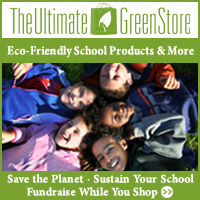 There are a good number of green companies listed on ShareASale. They have a category for it, which most affiliate networks don’t have. Other networks do have green companies, but you have to search a bit harder to find them much of the time. Commission Junction and LinkShare are two of the other big companies. Clickbank can be an interesting choice too. All they offer are electronically delivered products, such as ebooks or software. You can join them easily as an affiliate or a merchant. You can even do both. This can be fun. Ebooks on some topics sell very well. Or you can write your own and try to attract affiliates to sell for you, alongside your own efforts. Both can be quite challenging, but some people do very well with it. Think about topics you know well, and you might just have an idea for an ebook. I have notes for about 5 I would like to write, and minimal concepts for a few more. Any home business is going to be challenging. Most people aren’t going to get rich, no matter what they hype. There’s quite a bit to learn, even when you know what you want to do. In future posts I will talk about that. Mostly about the online options, as I know those best. And I would love to hear from other people who are running green home businesses. Just send a quick note or even a full guest post for my consideration through the contact form. Published by Stephanie, in Working at Home.